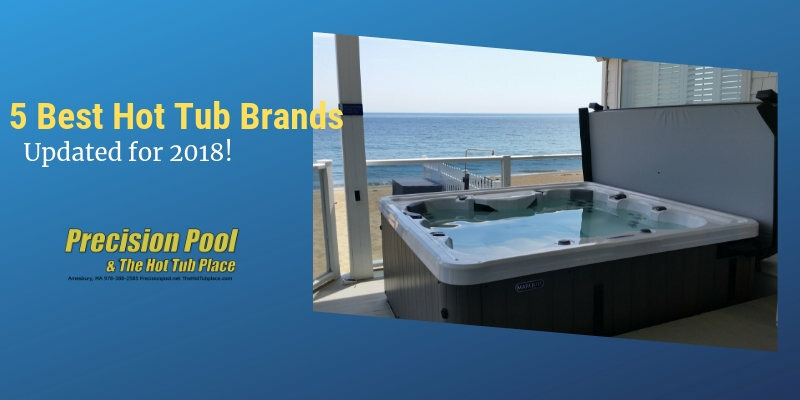 This is an odd post from a local hot tub dealer who sells only 1 or 2 brands of spas, but I often get asked by customers who are shopping, what are the best hot tub brands? I often rattle off the following names, and let the customer know if they are looking at these brands then they have done some good research and are looking at the best of the best. The following list is in NO PARTICULAR ORDER, thats because they all make a great hot tub and you really can’t go wrong with any of these companies. 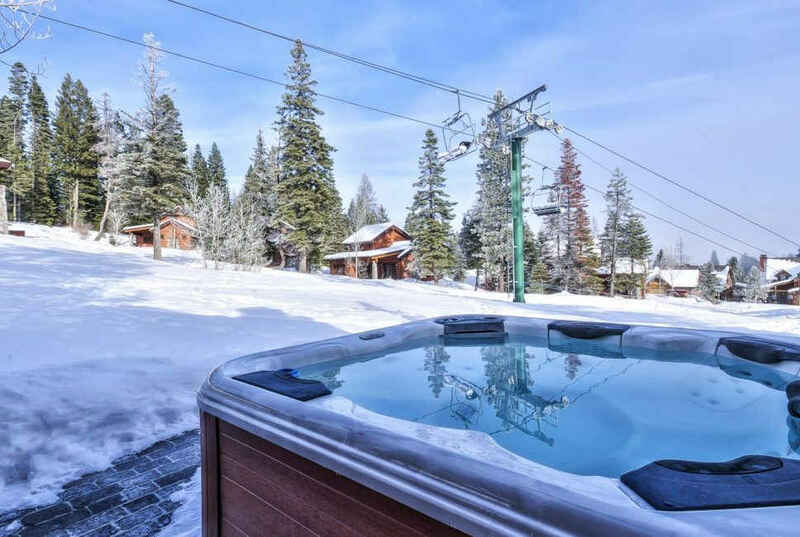 Are there only 5 good hot tub manufacturers out there, of course not, but I wanted to limit myself and this post to what I think are the top 1%, cream of the crop spa brands out right now. I used a few factors in deciding one who to include on this list, mostly it came down to experience with the brands over my 18 years in the industry, as well as company longevity, overall quality, and product innovation. Hot Springs is one of the older names in the business, and sell a huge volume of hot tubs in North America. Hot Springs Spas made the push in the last 3 years to really transform what the traditional hot tub design looks like. With the help of the acclaimed BMW design group they redesigned the high end Hot Springs Highlife Series models and created the NXT spas in 2015. In 2018 they redesigned their Limelight series with a much needed refresh. From all accounts the new Limelights from Hot Spring have been selling like crazy. With Hot Springs you might pay a little more but their constant iteration of design and elegance will always make them one of the top brands in the business. You can’t have a top 5 list of hot tub brands without Jacuzzi, they pretty much invented the product category. The Jacuzzi brothers pioneered the hydrotherapy pump system way back in 1956, when hot tubs were just wine barrels. Today they continue to produce world class spas, and their new j-500 series designer spa is one of the best looking hot tubs on the market right now. BullFrog Spas has not been around nearly as long as some of the other hot tub brands on this list but they are well deserving. 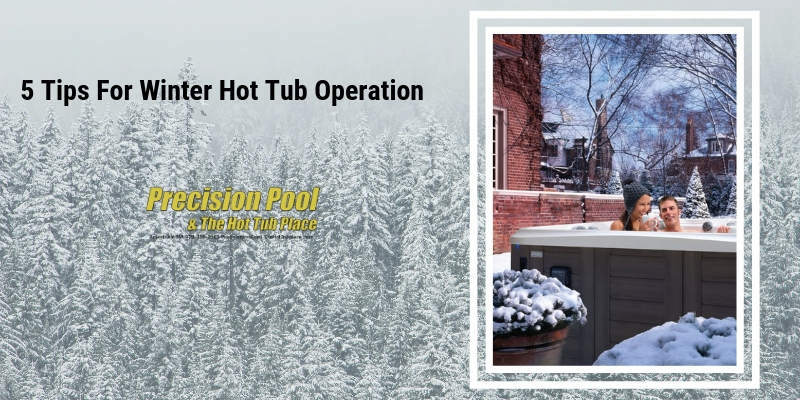 This Utah based spa manufacturer started up in 1996 and quickly made its mark on the industry for its innovative take on hot tub jetting systems. Having patented the JetPack Bullfrog made it possible for hot tub customers to basically build their own spa hydrotherapy experience. Each spa has Jetpack consisting of a different jetting system, these Jetpacks can be taken out and moved from seat to seat, or upgraded for different Jetpacks as new styles are released. In 2018 going into 2019 we have decided to take Dimension 1 off this top 5 list and replace it with Caldera Spas. Caldera has gone through many advancements since 2015. Their Utopia Series spas are one of the most comfortable high performance luxury spas out there. You just do not see seats sculpted to your body the way Caldera does it. While their Vacanza and Paradise series spas are probably due for a little refresh themselves they are solidly built. I think the best thing about Caldera is the amount of space you get. They have a way of making their 7’x7′ spas feel like 8’x8′ spas. If you have a big family, or big family mmebers, check out Caldera. Marquis is an independent employee owned company that has been making a quality hot tub since 1980. Like most of the other spas on the list they have been around a long time. They have been rated #1 in initial quality by the independent Trade Certified Organization in the Spa category that rates the top spas manufacturers in the industry. Their exclusive HK40 40 gallon per minute HOT ZONE jets are some of the most powerful jets in the industry and their idea of high flow low pressure has made them one of the top spas when it comes to deep tissue hot water massage. Their recent launch of the Celebrity Elite series in 2018 has been a huge boost to their overall sales. They took the design language from their Vector Series, 2 tone modern cabinet and the multilevel seating of their old Eseries line and created a mid-level spa line-up that will be tough to beat. Again this list is presented in no particular order and is just to be used as a reference for shoppers looking to learn ONE hot tub salesman’s opinion on the top hot tub manufacturers and brands in the country based on 16 years experience in the industry. 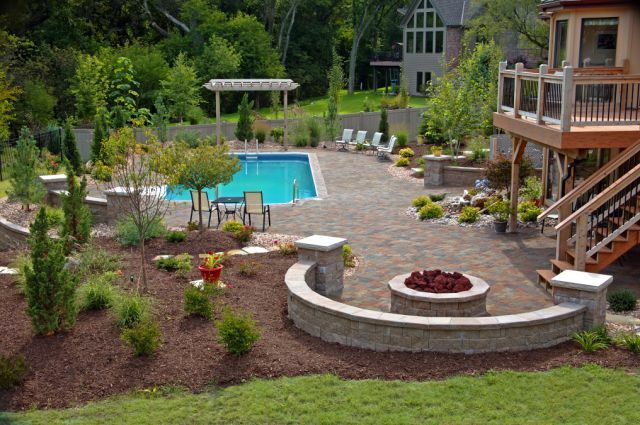 If you are looking for a quality , therapeutic backyard hot tub experience you can not go wrong with any of the companies above. You should also make sure that you buy your spa from a good local dealer who has a good service department and been around for a good amount of time, as a hot tub brand is only as good as its dealer. Are You In Massachusetts or New Hampshire? Have owned a Calspa for about 20 yrs. Comparing and contrasting a Bullfrog and a Royal Spa to replace Calspa. What are your thoughts? Thank you. Bullfrog all day in that race. As there is just not enough about Royal Spas out there. I really like what Bullfrog has done in the last couple years they really fixed some things with their jetpacks which made for a much better spa. Hi Jay! My family and I recently purchased a Caldera Utopia Series Niagara hot tub from a local dealer. 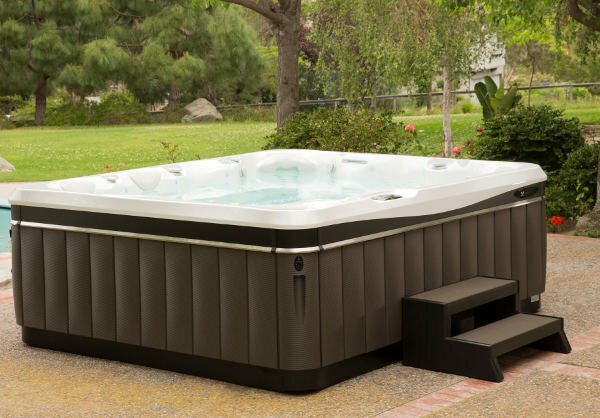 This is our first hot tub, and it is scheduled to be delivered early next week. What are your thoughts on this particular model, and do you have any feedback from customers who have purchased it? We are very excited, but considering the price, we don’t want to end up with buyer’s remorse. Thanks for your feedback! I have a 1999 Calspa. Having trouble with the ozonator dripping. Replaced it with another and am still getting drips from new ozonator via small filter. Is an ozonator needed. I’ve only replaced the ozonator one other time in the hot tubs lifetime. And only recently replaced it because I saw a drip coming out of it. What do you think? The Niagara is a BEAST! Love that spa. The Utopia series Caldera’s are probably the most comfortable spas I have sat in. THere is a lot of detail in the sculpting of the seating that helps really hold you against the jets. The build quality is best in class, there is a reason they are the largest hot tub manufacturer in the world, they know their stuff. I was in the factory not too long ago and got to see them put these things together, I was very impressed! You got an awesome spa! We bought an aquaterra spa from Costco 🤦🏻‍♀️ What a mistake! It feels really cheap and is not going to suit our needs. Luckily Costco has a great return policy. So it will be going back and we will be dealing locally! I was just wondering what your thoughts are on the Sundance Edison? I’m deciding between a Sundance spa and a Hot Springs spa. Both have attractive qualities. Thanks for providing this information… it has certainly helped with my search for a new hot tub. I’ve finally narrowed it down to 3 brands… Jacuzzi, Bullfrog, and Bahama. I saw Jacuzzi and Bullfrog both made your list, but was curious if you had any opinions on the Bahama brand. Any thoughts? This is the most helpful blog I’ve come across – thank you! Before I started researching I just looked at spas to see what I like – and it does seem like I have to find the right product to fit my needs. Even before learning that HotSprings and Caldera are owned by the same company, those are the ones that appealed to me the most. I have teen athletes who (surprise) want to have friends over a lot. And their muscles often hurt a lot. So I need a big spa that’s going to provide good hydrotherapy. One of the spas at Sam’s looks an awful lot like one of the HotSprings models, but the number of jets was ridiculous and this blog confirms that more doesn’t necessarily = better. I think I’m going to go with a Caldera. HotSprings looks like it has better technology but the seats don’t seem as comfortable nor do the jets seem as therapeudic. Am I on the right track here? I suppose there are always going to be tradeoffs. We definitely want a lounge chair so I’m looking at the Makena in Caldera’s Paradise series, the Geneva in the Utopia Series, or possibly the Cantabria, except I just can’t seem to get past the poor value-for-the-money with the Cantabria. Can you give me some suggestions on what factors you recommend considering in making this decision? You mentioned limited warranty on the hot spot relay. How does that compare to others in that category? I have narrowed down to j235, relay and Sundance Peyton. The relay didn’t have jets for the feet on the lounger – waiting to wet test the other two. The Hot Spot series has a 2 year component warrant, you need to go up to Limelight and Highlife to get the 5 year warranty. But most of the spas in that class you are looking at will have similar component warranties, 2 or 3 years. I like the Relay of space and comfort but not a super powerful spa.